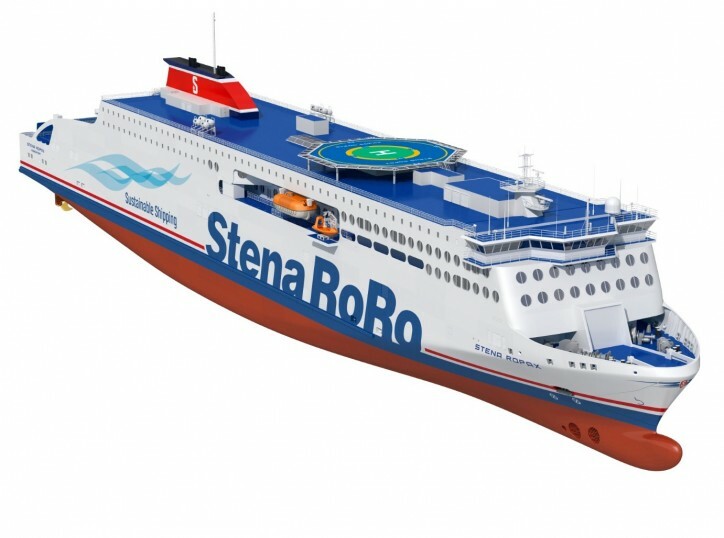 DNV GL announced yesterday at the Posidonia trade fair that it has signed a contract to provide classification services for Stena Line’s new RoPax ferries, to be constructed at AVIC Weihai Shipyard in China. The RoPax ferries will be constructed for optimal efficiency and flexibility. Intended for short international routes, the first four vessels are planned to be used within Stena Lines’ route network in Northern Europe. The vessels will have the capacity to carry 1,000 people onboard (927 passengers and 73 crew), as well as having 3,100 lane metres in a drive-through configuration. The vessels and their main engines will be “gas ready”, prepared to be fuelled by either methanol or LNG. DNV GL’s GAS READY notation provides a clear picture of the level of gas fuelled preparedness of a vessel, as well as guidance on the scope of the contemplated work to all involved parties. During the classification process DNV GL will also carry out statutory work on behalf of the UK’s Maritime and Coastguard Agency (MCA).